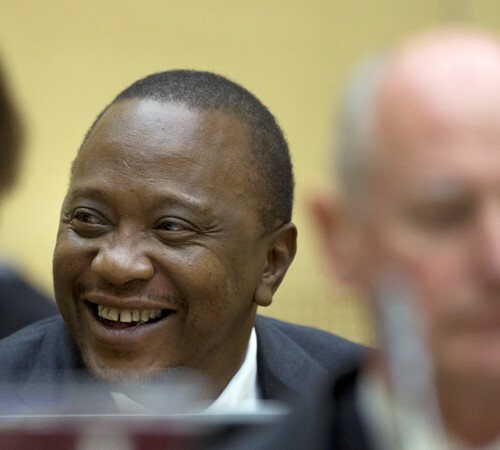 Today, Friday 13 March 2015, Trial Chamber V(B) of the International Criminal Court formally terminated the proceedings against Kenyan President Uhuru Kenyatta. [T]he Chamber considers it appropriate to terminate the present proceedings. Accordingly, the Chamber notes that the Summons to Appear should now be formally discharged and that the conditions therein will cease to have effect. However, pursuant to Article 70 of the Statute, it is noted that the Court retains jurisdiction over any interference with a witness or with the collection of evidence. The Chamber additionally emphasises that, pursuant to Regulation 42 of the Regulations, ‘[p]rotective measures once ordered in any proceedings in respect of a victim or witness [… ] shall continue after proceedings have been concluded, subject to revision by a Chamber‘ . The Chamber considers that, although the present proceedings will now be terminated, the Chamber retains a limited residual jurisdiction to consider certain procedural matters, including any review and possible reclassification of confidential filings in the case record, which shall remain confidential unless otherwise decided. The Chamber further notes that it may be necessary to reconsider this decision, and resume a certain limited further jurisdiction, depending on the manner in which the Prosecution’s appeal of the Chamber’s ‘Decision on Prosecution’s application for a finding of non-compliance under Article 87(7) of the Statute is is resolved. Finally, the Chamber considers that the termination of these proceedings is without prejudice to the continuation of the mandate of the LRV for such limited period as may be necessary to enable him to properly inform and advise the victims regarding the impact of the withdrawal of charges in this case and of the present decision, as well as, if applicable, to participate in the outstanding proceedings before the Appeals Chamber. On 21 January 2015, The Kenyatta Defence published a report examining the key aspects of the failed ICC proceedings against Mr Kenyatta. The document focuses on the nature of the evidence that was proved by the Defence to be false and the exposure of which eventually caused the case to fail.